Israeli Prime Minister Benjamin Netanyahu on Tuesday threatened to teach Hamas a lesson "very soon" after recent cross-border violence. "We foil terrorist attacks when we identify that they are in the making and we respond against those who attack us," Netanyahu told reporters in Jerusalem at a joint press conference with his Canadian counterpart Stephen Harper. "If Hamas and the other terror organizations forgot this lesson, they will learn it again the hard way and very soon," he said. His warning was issued shortly after Hamas said it had deployed forces in Gaza to "preserve the truce" following an uptick of rocket fire on Israel. Over the past month, tensions have risen in and around Gaza after more than a year of relative calm following Israel's war on the coastal territory in November 2012 which killed over 170 people, mainly civilians, and injured thousands. Since Dec. 20, four Palestinians and an Israeli have been killed in violence in and around Gaza. Israeli army figures show eight rockets have struck Israeli territory since Jan. 1, and another five were intercepted by the Iron Dome anti-missile system. Israeli airstrikes this year on targets in Gaza have injured dozens of people, mainly civilians. Earlier, Hamas confirmed its security forces had fanned out along the frontier to put a halt to firing by various militant groups. "National security forces have been deployed in order to preserve the truce," Hamas interior ministry spokesman Islam Shawan told AFP, referring to an Egyptian-brokered deal which ended the Israel's assault on Gaza in November 2012. Militants fired at least one rocket at southern Israel late on Monday which caused neither casualties nor damage. Another rocket at the weekend prompted an air strike on Gaza City on Sunday which wounded two Palestinians, one critically, with the military saying it had targeted a senior Islamic Jihad member who was behind much of the rocket fire. A 12-year-old boy was injured in the airstrike, which was condemned by the Palestinian Center for Human Rights as an "extra-judicial execution attempt" by Israel. The Gaza Strip has been under a crippling Israeli blockade for seven years, which has severely limited imports and exports and has led to frequent humanitarian crises and hardship for Gazans. Israeli police officers on Tuesday raided the East Jerusalem home of freed Palestinian prisoner Samir Issawi along with inspectors from the Jerusalem municipality. 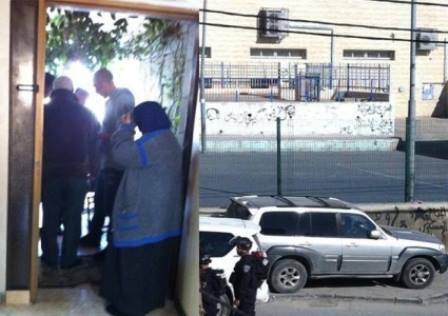 Issawi's father told Ma'an that a large number of police officers and municipality inspectors broke into his home and took photos of both the interior and the exterior before they left. He pointed out that his two-story house was built in 1998 and that his family had previously paid a fine of 60,000 shekels ($17,200) for building it without a license. The family, he added, has been trying "in vain" for years to obtain a construction license. Issawi's father added that he is worried that the Israeli municipality of Jerusalem might demolish the building and displace the 14 members of his family that live there. He added that an apartment belonging to the family was demolished in 2013, prior to completion. Israel rarely grants Palestinians permits to build in the West Bank, including East Jerusalem. Israel destroyed more than 663 Palestinian properties in the West Bank and East Jerusalem in 2013, displacing 1101 people, according to UNOCHA. Israeli intelligence officers also broke into Issawi's home on Monday and handed Samir a summons demanding that he visit Israeli intelligence at the Russian Compound in West Jerusalem on Jan. 27. 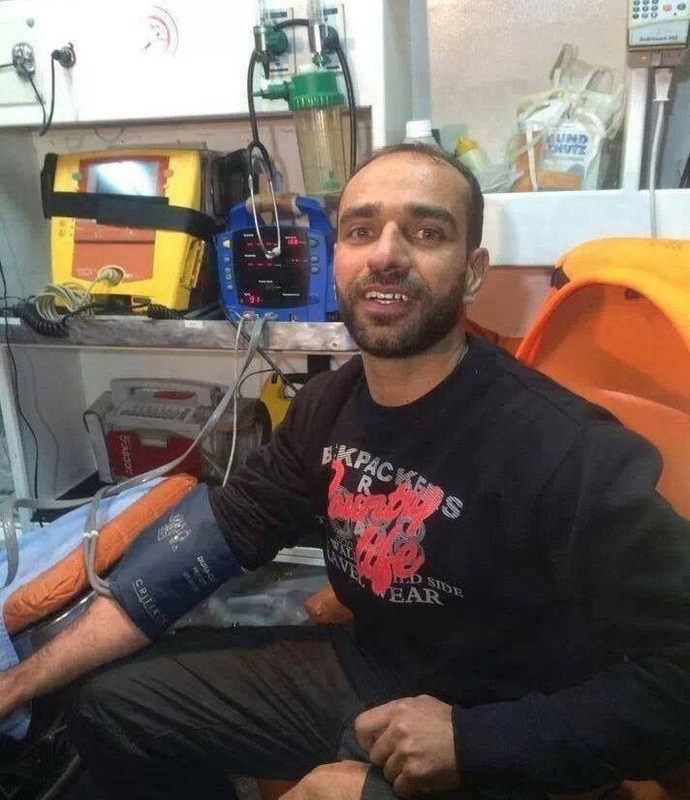 Issawi was released as part of an agreement in which he ended a 266-day hunger strike in April, during which time he became an international cause célèbre who focused attention on the plight of the thousands of Palestinian prisoners in Israeli jails. Issawi's hunger strike was one of the longest in history, and brought him close to death. The release agreement confined him to Jerusalem, but he was re-arrested in July 2012 after traveling to a village that is mostly in Jerusalem but also partially in the West Bank. An Israeli border police officer shot and wounded a Palestinian man near the illegal settlement of Telem in Hebron on Monday. Israeli police spokesman Mickey Rosenfeld told Ma'an that a Palestinian man approached a female border police officer at a base outside Hebron. After being told to stop in Hebrew and Arabic, the female officer fired a warning shot in the air. The man then approached another a second officer in the area, who called on the suspect to stop before firing a warning shot in the air and shooting the man. The man, who was not identified, is in a moderate to serious condition and the "background to the incident is being investigated," Rosenfeld added. The victim was taken for medical treatment in Jerusalem. He said that Hamas is responsible for any rockets fired from Gaza at Israeli targets, adding that it was not imposing its authority on the field. “Thus we will work against it and damage its interests”. For his part, Israeli Prime Minister Benjamin Netanyahu said, "We advise Hamas to take our threats seriously," adding, "The Israeli security policy toward Gaza envisages preemptive strikes to thwart attacks before they are implemented and to strongly respond to any attempt to harm us." Earlier on Sunday, Taher al-Nunu, the media adviser to the Palestinian Prime Minister, warned the Israeli occupation of continuing the military escalation on the Gaza Strip. Nunu advised the occupation to stop all forms of aggression against the Palestinian people, pointing out that the escalation is a risky adventure and will not enable the occupation to achieve any victory. The Israeli occupation authority (IOA) ordered 25 families in Ebzeeq valley in the northern Jordan Valley on Sunday to leave their homes to make way for army maneuvers. Aref Daraghma, the head of the municipal council of the Jordan Valley and tribal communities, said in a press release that the IOA informed inhabitants of Ebzeeq that they should leave their homes and land on Monday morning. He quoted the IOA as telling the inhabitants that the maneuvers will last for six hours and would be launched on their land. Daraghma said that around 120 individuals would be forced to keep away from their source of sustenance. He said that the inhabitants fear of army leftover ordnance that could be dangerous to their children. The IOA systematically terrorize inhabitants of the Jordan Valley employing such methods as military exercises and demolition of facilities in the final hope of terrorizing them into leaving their land. A Palestinian human rights organization on Sunday condemned what it called an "extra-judicial execution attempt" by Israeli forces on the same day. The Palestinian Center for Human Rights said in a statement that an Israeli airstrike that targeted a member of a Palestinian militant group serves "to escalate tension in the region and (threatens) the lives of Palestinian civilians." The statement said that an Israeli drone strike seriously injured al-Quds Brigades member Ahmad Saad while he was riding his motorcycle in northern Gaza. "Additionally, a passing child, 11-year-old Salah Fareed al-Ghuf, was injured by shrapnel to the right foot," the statement said. The strike also damaged a Palestinian family's house and two buses, the PCHR statement said. It said the attack was the first of its kind in 2014, and the second since April 2013. 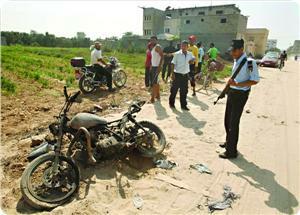 "On 30 April 2013, an Israeli drone targeted and killed Hiatham al-Mis’hal, from Gaza City," the PCHR said. "Since 2004, 636 Palestinians, including 392 civilians (this number includes 184 children and 14 women), have been killed and 438 others, including 401 civilians (this number includes 364 children and 4 women) have been wounded in attacks launched by Israeli drones." The PCHR was "deeply concerned" about the attacks, saying they reflected "Israel's disregard for the lives of Palestinian civilians," and calling upon the international community to pressure Israel to stop them. The Israeli army said in a statement that Sunday's strikes "successfully targeted a terrorist operative" named Ahmad Saad, who it described as "a senior operative in the 'Palestinian Islamic Jihad'" organization. The statement added that Saad was a specialist "in rocket launching" and is "personally responsible for the launching of 5 rockets towards Ashkelon" on Thursday. An Israeli military spokesperson said the attacks came after a homemade shell fired from the Gaza Strip landed in the Western Negev. The airstrikes come days after four Palestinian children and a woman were injured in an Israeli bombing on Gaza early Thursday, and a day after after Israeli forces opened fire on Palestinian protesters near the border, injuring two. An Egyptian-mediated ceasefire agreement was reached in November 2012 between Palestinian factions and Israel to end over a week of fighting which left over 170 Palestinians dead and thousands injured. 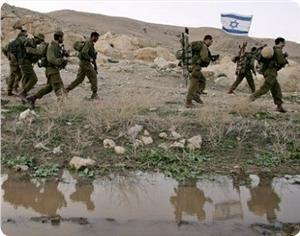 Six Israelis were also killed during the fighting. Since the agreement, Israeli forces have shot dozens of Gazans in border areas, and have launched frequent incursions. The Gaza Strip has been under a severe economic blockade imposed by Israel since 2006. The military wing of a Palestinian faction said Sunday that Israeli violations of a ceasefire with Gaza might lead to the ceasefire's end, the same day Israeli airstrikes injured two in the Strip. Israel's "continuous violations against our people may lead to the collapse of this agreement unless they stop immediately," the military wing of the Islamic Jihad movement said in a statement. The al-Quds Brigades said the Israeli strikes were the latest in a "long series of crimes" to which the militant group would respond at the appropriate time. 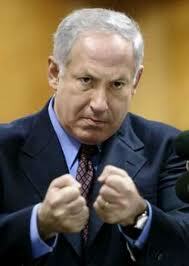 The group said Israel would pay a heavy price for further attacks on Gaza. Earlier Sunday, a young Palestinian man and a child were injured after Israel launched three strikes against the Gaza Strip. 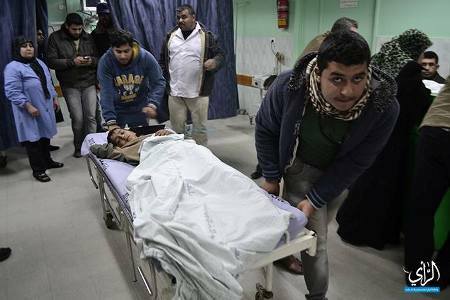 A spokesman for Gaza's Ministry of Health told Ma'an that a 22-year-old man and a 12-year-old boy were hospitalized due to injuries sustained by the strike. The Israeli army said in a statement that the strikes "successfully targeted a terrorist operative" named Ahmad Saad, who it described as "a senior operative in the 'Palestinian Islamic Jihad'" organization. 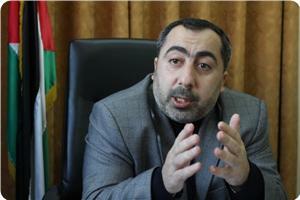 Taher al-Nunu, the media adviser to the Palestinian Prime Minister, warned the Israeli occupation of continuing the military escalation on the Gaza Strip. Nunu advised the occupation to stop all forms of aggression against the Palestinian people, pointing out that the escalation is a risky adventure and will not enable the occupation to achieve any victory. He has also demanded the occupation to abide by what has been agreed upon in the truce agreement reached after the battle of the Shale Stones. Nunu warned of a settlement agreement carrying new concessions and similar to the previous Oslo Accord between the Palestinian Authority and the occupation. He said: "The U.S. Secretary of State John Kerry wants to take advantage of the current Arab political situation in order to obtain historic waivers from the PA leadership and to impose solutions that cannot be accepted by the Palestinian people." He also condemned the ongoing negotiations with the occupation, and stressed that no one has the right to give up the Palestinian people's rights. The government official pointed out that the political map of the Arab region is witnessing a rebuilding process, and therefore the conditions are not appropriate to conduct negotiations; given that the Arabs are preoccupied with their internal problems. He reiterated his government's adherence to the right of return of refugees to their lands from which they had been forcibly displaced in 1948, and warned of the issue of land swap between the PA and the Israeli occupation as this step means recognizing the legitimacy of the Israeli settlements in the West Bank. 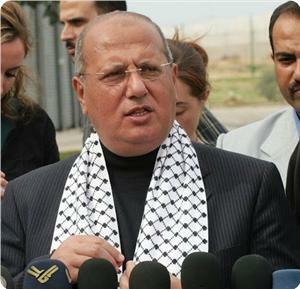 MP Jamal Al-Khudari, the head of the popular anti siege committee, has called on the international community to intervene and curb the escalating Israeli military attacks against the beleaguered Gaza Strip. The independent MP said in a press release on Sunday that Israel was escalating its military attacks on the besieged enclave and was targeting civilians. He said that Israel was threatening an invasion of the Strip, which necessitated a serious international stand to block such schemes. Khudari said that the shortest road to peace is granting the Palestinian people their rights, ending Israeli aggression and blockade, and establishing a Palestinian state with Jerusalem as its capital on the 1967 borders. The lawmaker reiterated his assertion that the blockade on Gaza Strip was illegal and unethical and is tantamount to mass punishment. He charged the siege was targeting innocent people in their sustenance, education, health and all life sectors, demanding an immediate end to the siege. 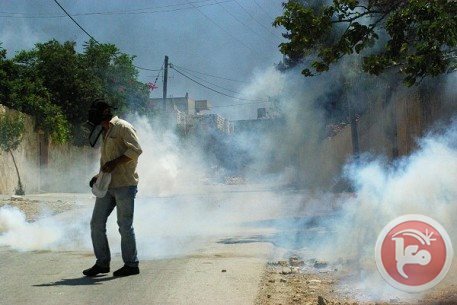 Ten Palestinian citizens were treated for breathing difficulty in Anza village, south of Jenin, during confrontations with Israeli occupation forces (IOF) afternoon Sunday. Local sources told the PIC reporter that IOF soldiers in seven army vehicles broke into the village and provoked citizens, who threw stones at the soldiers. The sources said that the soldiers fired bullets and teargas at the young men, adding that ten citizens suffered breathing problems, some of them inside their homes. Eyewitnesses told the PIC reporter that the soldiers withdrew from the village and set up a roadblock on the Jenin-Nablus road and stopped cars for search. Israeli gunboats opened fire Sunday morning on Palestinian fishermen off Gaza coast near al-Sodania area to the north of Gaza. 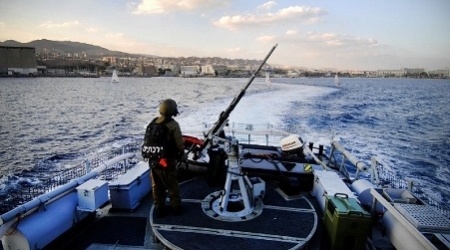 ALRAY correspondent reported that the Israeli navy forces fired shells on Palestinian boats, no injuries reported. In May 2013, the Israeli government re-extended Gaza's fishing zone to six miles. The zone had been extended to six miles as part of an Egyptian-brokered ceasefire that ended an eight-day offensive by Israel in November. In the Oslo Accords, Israel agreed to a 20-nautical-mile fishing zone off Gaza's coast but it imposed a 3-mile limit for several years, opening fire at fishermen who strayed further. Israel has controlled Gaza waters since its occupation of the area in 1967, and has kept several warships stationed off the coast since 2008. A Palestinian man miraculously survived an Israeli airstrike on Sunday after he jumped off his donkey cart to eat falafel and fool in a popular restaurant in the northern Gaza Strip. The donkey, however, was not so lucky, and wound up a casualty of an Israeli missile strike that also injured a motorcyclist and a 12-year-old child passing by. Saad Dabour, a garbage collector, told Ma'an that seconds before an Israeli airstrike hit a motorcyclist on Saftawi Street near Jabalia, he stopped his donkey cart on the roadside and jumped down to treat himself to a breakfast of falafel and fool, a dish made of fava beans, from a popular roadside restaurant. "Only a few seconds later, I heard a blast, and when I turned back to see what had happened, I saw the motorbike ablaze and its driver was lying on the ground." He added that after he recovered from the shock, he noticed that his donkey was riddled with shrapnel from the missile. Dabour told Ma'an that he uses Saftawi Street every day to collect garbage on his donkey cart. In late November, Gaza authorities announced that local municipalities had been forced to use donkeys in order to collect garbage and waste from cities and villages across the region due to major fuel shortages. Fuel shortages have caused major hardship in the Gaza Strip since early November, causing power plants and water pumps to decrease service hours and cutting off access to basic necessities for Gaza residents. The Gaza Strip has been under a severe economic blockade imposed by Israel with Egyptian support since 2006. A 12-year-old child and a youth were injured in an Israeli aerial strike on a motorbike in Saftawi area, north of Gaza city, on Sunday morning. Ashraf Al-Qudra, the health ministry spokesman, told the PIC reporter that the child was moderately injured in his knee while the 22-year-old youth was seriously wounded. Israeli warplanes launched two raids on positions for the Qassam Brigades, the armed wing of Hamas, in southern and central Gaza Strip at dawn Sunday. No casualties were reported. Palestinian medical sources have reported that at least two Palestinians, including a child, have been injured after the Israeli army bombarded an area in northern Gaza. 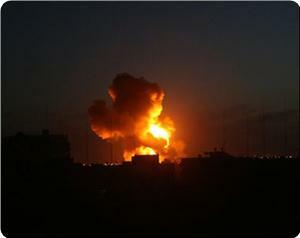 The army also bombarded resistance centers in central and southern Gaza. The sources said that the Israeli Air Force fired at least one missile at a motorcyclist in the Saftawy area, north of Gaza, severely wounding one resident, 22 years of age (Ahmad Saad), and moderately wounding a 12-year old child. The two suffered injuries to various parts of their bodies; the 22-year old was moved to the Shifa hospital in a serious condition, while the child was moved to the Kamal Adwan hospital. Furthermore, the Israeli Air Force fired missiles into a number of resistance centers in the central and southern parts of the Gaza Strip causing damage but no injuries. 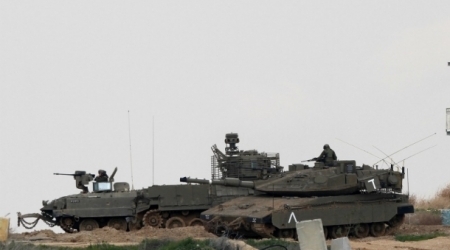 The Israeli army claimed its bombardment came in retaliation to homemade shells fired from Gaza into the Sdot Negev Regional Council of settlements in the western Negev. Israeli warplanes launched two raids on Palestinian resistance positions in southern and central Gaza Strip at dawn Sunday. Local sources told the PIC reporter that the warplanes blasted a position for the Qassam Brigades, the armed wing of Hamas, in Bani Suhaila to the east of Khan Younis, south of the Strip. 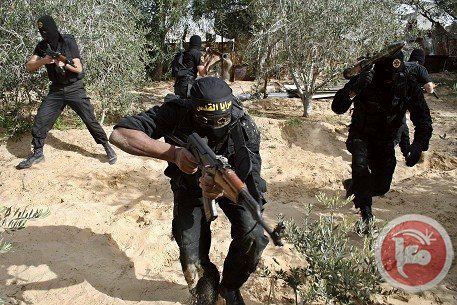 They added that the second raid targeted another position for the Hamas armed wing in Nuseirat refugee camp in central Gaza. The sources affirmed that the raids caused only material damage and no casualties were reported. The IOF command claimed that the raids were in reprisal to the firing of a homemade rocket from Gaza Strip on the western Negev. Meanwhile, a field observer told Quds Press that groups of IOF soldiers entered northern Gaza Strip at dawn Sunday and bulldozed land amidst indiscriminate shooting. He said that the soldiers opened heavy gunfire but no casualties were suffered. 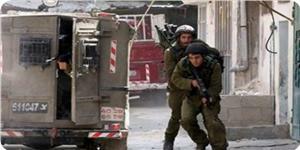 Israeli soldiers kidnapped twelve Palestinians in the West Bank districts of Bethlehem, Hebron and Nablus. The army also kidnapped a recently released veteran Palestinian political prisoner in occupied Jerusalem. Eyewitnesses said that several armored Israeli military jeeps invaded the West Bank district of Bethlehem, violently broke and searched several homes, and kidnapped eight Palestinians, including seven in the Al-Obeydiyya town, east of the city. The kidnapped have been identified as Eyad Yousef Hasasna, 26, his brother Waleed, 18, Younis Mohammad Safy, 18, Sa’ad Mohammad Al-Asa, 35, Majed Aqeel Rabay’a, 38, Falah Issa Abu Sarhan, 25, Hisham Daoud Radayda, 33. Furthermore, soldiers invaded the Doha town, west of Bethlehem, broke into one house and searched it before kidnapping a resident identified as Firas Ahmad Al-Odah, 32. In related news, several armored Israeli military jeeps invaded the northern West Bank city of Nablus, and kidnapped three Palestinians. Eyewitnesses said that the soldiers invaded the Ras Al-Ein neighborhood, the Al-Jame’a (University) Street, and the Balata refugee camp, violently broke into and searched several homes before kidnapping three Palestinians. Two of the kidnapped have been identified as Malek Abdul-Nasser Sobeh, 22, and Abdul-Jabbar Imad Skakhsheer, 22. Furthermore, several Israeli military jeeps invaded the Sa’ir town, east of the southern West bank city of Hebron, kidnapped one resident, and violently assaulted two others. The Palestinian News & Info Agency (WAFA) has reported that the soldiers kidnapped Fady Ishaq Jaradat, 33, at the entrance of Sa’ir town, and violently assaulted Shady Mahmoud Ja’abra, 17, and Morad Ja’abra, 15; the two were moved to a local clinic suffering various cuts and bruises. Furthermore, soldiers invaded Ethna and Bani Neim towns, west of the city, and installed a roadblock at the entrance of the al-Fawwar refugee camp, south of the city. In occupied Jerusalem, Israeli police officers kidnapped Mahmoud Da’ajna, 66, a former political prisoner who was recently released after 23 in Israeli prisons. The Police claimed the arrest was “tax related”. Da’ajna was released on December 31, 2013, when Israel released the third phase of veteran political prisoners (26 detainees), as part of direct political talks, mediated by the U.S. The fourth and final stage of releasing veteran detainees is scheduled for March 28, 2014. In total 104 veteran detainees will be released. Israel released, back in mid-August 26 veteran detainees (14 from Gaza and 12 from the West bank) and in late October, it released 26 veteran detainees (21 from Gaza and 5 from the West Bank). In its annual report for the year 2012, the Census Department of the Palestinian Ministry of Detainees revealed that Israeli soldiers kidnapped 3874 Palestinians, including 931 children. The number of detainees who died in prison, either due to torture or to being shot by soldiers during and after their arrest, since 1967, currently stands at 204. Israel is currently holding captive 5,200 Palestinians in 17 prisons, detention camps and interrogation facilities across the region. The number includes 250 children and 13 women, in addition to 13 democratically elected legislators. A young Palestinian man was seriously injured after Israeli forces shot him on Saturday evening in the East Jerusalem neighborhood of Anata. Private sources confirmed that the young man was suffering from a critical injury and extensive bleeding after being shot in the thigh with expanding dum-dum bullets by Israeli forces during clashes in the neighborhood. He was reportedly transferred to Hadassah Ein Karem Hospital in Jerusalem due to his condition. 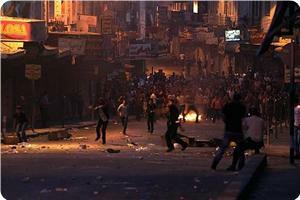 Five Palestinians were arrested in Jenin and in Bethlehem’s Aida refugee camp, at dawn on Thursday. 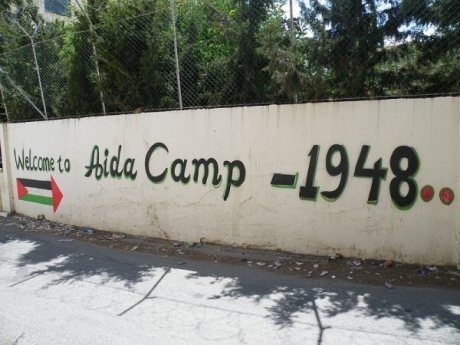 According to Aida residents, Israeli soldiers stormed the camp amidst heavy shooting and firing of teargas and sound bombs, the Alternative Info Center (AIC) has reported. The indiscriminate shooting started a fire in one camp residence. Later, the soldiers arrested five men after searching their homes and forcing all residents out into the cold. In Jenin, Israeli soldiers arrested two brothers in the village of Teyba, adjacent to the Separation Wall, after searching their homes as family members, including women and children, were forced to remain outside in the cold weather. 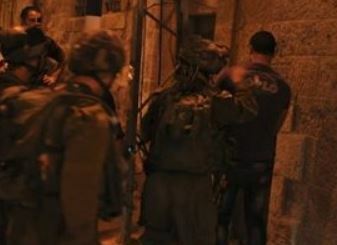 Three Palestinians were also arrested in Hebron. The detainees were transferred to interrogation centers, under the pretext that they are wanted by the Israeli intelligence service. 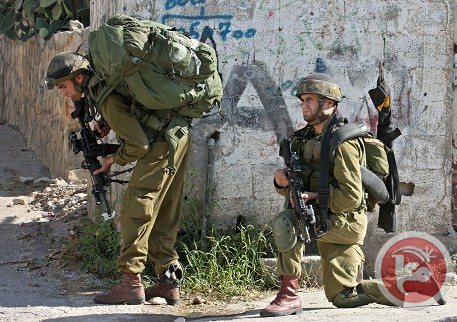 Israeli forces raided the northern West Bank village of Kafr Qaddum on Saturday afternoon and detained a man after firing a large number of tear gas canisters towards the village, injuring his elderly mother. Eyewitnesses said that several military vehicles raided the town while firing tear gas canisters towards local youths, who were throwing stones and empty bottles at the Israeli forces. The Israeli forces subsequently detained Bakr Ali, a 27-year-old local. His elderly mother was also injured as she choked on the large amounts of tear gas released by canisters fired by the soldiers at the village. 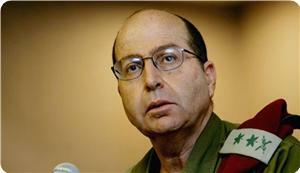 An Israeli army spokeswoman did not return calls seeking comment. The Israeli raids come weeks after Israeli forces killed an 85-year-old Palestinian man in Kafr Qaddum after launching a large number of tear gas canisters into residential areas in the village during clashes. Said Jasir succumbed to his wounds in early January after a canister landed in his house, causing him to choke to death on the smoke. Protests are held every Friday in Kafr Qaddum against Israel's closure of a main road linking the village to its nearest city, Nablus, as well as against the Israeli occupation more generally. Israeli occupation minister of energy traveled on Friday to the United Arab Emirates to attend a conference on renewable energy, AFP reported. 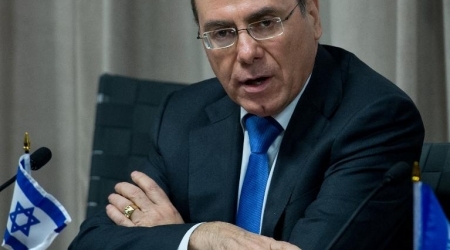 Silvan Shalom, a member of Netanyahu's Likud party, will head a delegation to the International Renewable Energy Agency's conference in Abu Dhabi, a spokesman was quoted by AFP. In January 2010 Hamas military commander Mahmud al-Mabhuh was found dead in a Dubai hotel room, in what investigators in the UAE believe was an assassination carried out by Israel's Mossad spy agency. Israel TV channel 10 said that the real aim of the visit was not the conference, but a political agenda. The visit was a move to arrange for a war on the Gaza Strip. Channel 10 claimed that the UAE accepted an Israeli demand to finance a new military operation against Gaza should Israel completely end the rule of Hamas. According to channel 10, Shalom met the UAE crown sheikh Mohamed bin-Zayed. Palestinian dismissed Fatah leader Mohamed Dahlan, who is renowned for his close relationship with Israel, attended the meeting. Israeli forces stationed north of beit Lahia town earlier on Friday fired towards Palestinian land and homes in Abu Samra border area. No injuries were reported. In a related vein, medics said two Palestinians were injured in an Israeli firing while rallying near the border under “Intifada Youth Coalition” weekly demonstrations, while scores suffered tear gas inhalation. The rallying activists managed to fix Palestine flags on the border fence and plant 70 olive trees on the buffer zone land, after being showered with Israeli live bullets tear gas bombs, our reporter said. He added that the occupation forces removed the flags after the demonstration went off. The participants voiced their objection to the measures being mounted against Palestinian farmers in the Gaza Strip and the West Bank by the Israeli occupation which flouts international laws and conventions regarding occupying power’s obligation to protect civilians and afford them their right to exploit their natural resources. They demanded for lifting the unjust blockade of farmers in the West Bank and Gaza and curbing Israel from land grab in light of Arab’s internal problems. Israel has been testing the Gaza waters by launching airstrikes on military sites of Palestinian resistance movements, inflicting injuries only among civilians. On Thursday, Israeli warplanes raided on three uninhabited sites in Gaza City and Central Gaza Strip, mildly injuring a woman and four of her children. While Israeli military recently threatened with an escalation if rockets from Gaza didn’t stop; however, the Palestinian government in Gaza says Israel is using the rockets as pretext to justify its targeting of unarmed people. Hamas says that it’s committed to the Egypt-mediated ceasefire agreement with Israel , signed in the wake of Israel’s November 2012 offensive in Gaza and that the recent projections of rockets are individual acts arising out of the suffocating Israeli and Egyptian blockade. Israeli occupation forces (IOF) arrested two Palestinian boys in Silwad village, east of Ramallah city, on Friday night after raiding the town in big numbers. The PIC reporter said that IOF soldiers used teargas and metal bullets to disperse hundreds of young men who came out to confront the soldiers. He added that IOF soldiers ambushed young men and fired at a boy wounding him in his foot and when another boy tried to help him the soldiers captured them and beat them up despite the first boy’s injury. Eyewitnesses said that the two boys were taken to Ofra settlement to the east of Ramallah. 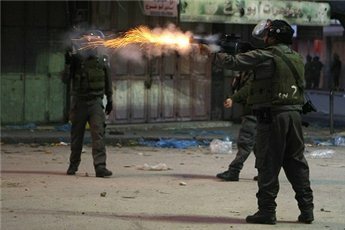 Meanwhile, another IOF force raided Nablus city at dawn Saturday, the PIC reporter in the city said, adding that violent confrontations erupted with dozens of young men in Ras Al-Ein suburb.